Yarmouk University (YU) was founded by a Royal Decree in 1976. As a leading institution in higher education and second largest university in Jordan, YU has been known for its dedication to service, its innovative approach to academic management and human resource development, and its relentless pursuit of excellence in all fields of research and instruction. As of 2016, the university had about 37, 000 students enrolled in the three levels: Bachelor, Master’s, and doctoral. 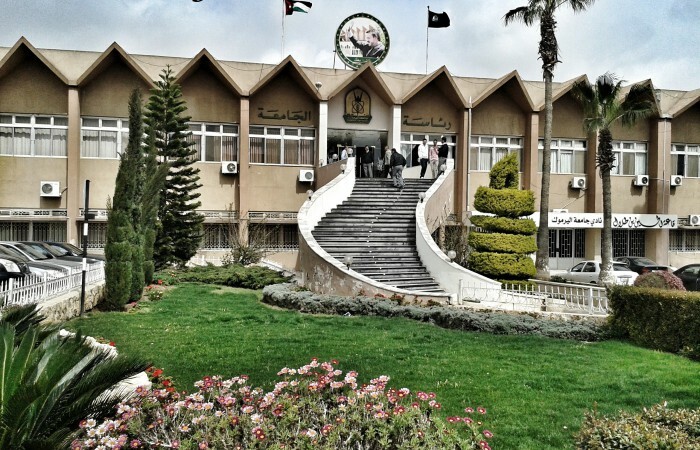 Employing nearly 2,600 faculty and staff members, Yarmouk University has 15 faculties, 7 scientific research centers, and 5 research incubators. It offers high quality 62 Bachelor programs, 64 Master’s, and 18 doctoral. The University is expanding to meet the needs for new high-quality research and teaching facilities and to expand its network of international relations. YU has cooperation agreements with nearly 100 institutions worldwide and has several research grants funded by World Bank, EU, USAID, DFG, and others. YU has demonstrated excellent and practical experience with current and previous EU funded projects where it participated in a number of EU-funded projects through the Tempus and Erasmus programs and was the first university in Jordan to lead a Tempus project in 2010, entitled: "Industry Oriented Master’s Program-Towards an EU Approach". It is also heavily involved in Erasmus+ ICM exchange program for exchange of students and staff to EU. The university top priority has been to provide quality education to its students in the various fields of specialization and also to provide its programs with an international dimension in order to enhance the outcomes of its graduates. It is highly concerned with engaging its faculty members and students in relevant and quality research programs to effectively contribute to the national economic growth and development, which will be reflected on the human welfare and prosperity at a larger scale. The program aims to help students develop linguistic and literary skills in Arabic Language, to enable students to appreciate the Arabic Language and the Arab Islamic heritage, and to enable graduates to meet the needs of the national market whether in teaching professions or other areas. The program provides students with quality education and the needed technical skills in computer sciences to be able to provide the society with the required services, to graduate students according to the needs of Jordan, neighboring countries and other parts of the world including developed countries, to build ties with the local community in order to be able to satisfy their needs, and finally to provide consultation services to the industry sector and local corporations. This program aims to develop knowledge and skills in cultural heritage and its preservation. Students who study this program are expected to have knowledge in the field of cultural heritage and the different approaches for maintenance and management of cultural resources. In addition, students are expected to be able to work in museums or any other organizations that deal with different areas of the maintenance and management of heritage resources. This Program provides courses in language, linguistics, literature, comparative literature, translation, and writing. It aims to achieve distinction in teaching, scientific research and student services through offering high-level graduating skilled generations of students that possess science, knowledge and the ability to cope with modern developments and to compete at the local and regional levels. The program aims to teach students the art of writing press articles and reports and how to produce professional journal articles and reports. The components of the curriculum focus on the needs of the local and regional market. The curriculum contains a practical training component which is implemented through the newspaper of the faculty of Journalism “Sahfat Al Yarmouk, which is issued weekly and functions as a laboratory for students to gain their writing and professional experience. This program provides a high standard education for people to work professionally in the travel and tourism industry. It supplies the travel and tourism tourist market with qualified human resources in different levels and encourages students to communicate effectively in multicultural environments.